If you’ve noticed that your lawn has been lack-luster, off-colored, patchy, or thin, it is likely because of thatch buildup and soil compaction. Thatch accumulates in North Carolina rapidly throughout the year. This layer of dead grass and roots will create poor nutrient absorption and prevent water from reaching grass’ roots. Compaction occurs in conjunction with thatch buildup from everyday use like walking or mowing. This can even prevent future seeds from taking root. Luckily, Vision Green offers an affordable solution for a thicker, greener lawn—aeration and overseeding. 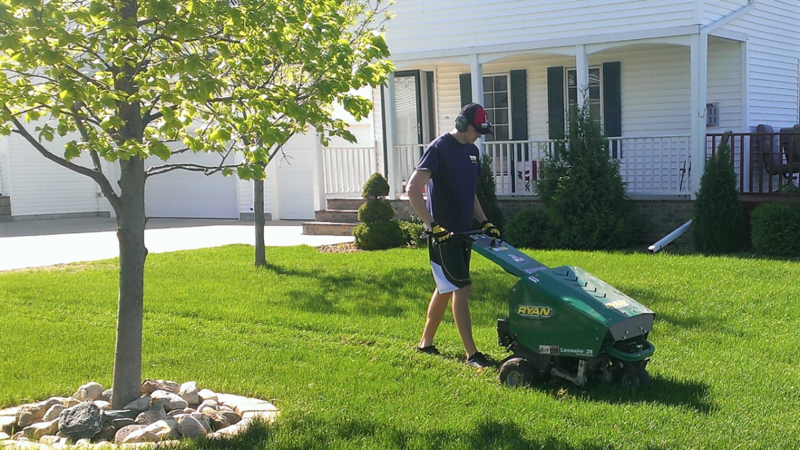 Our commercial grade aerators are run by highly experienced technicians who know what it takes to revive your lawn. The aerating process starts by removing miniature cores of soil from the ground in your yard. These cores penetrate deep through the thatch layers, creating a natural gateway for water and critical nutrients to reach far below the surface of your lawn. This creates a perfect scenario for grass to revitalize and thrive. Once aeration is complete, the overseeding process begins. The plugs created by aeration allow the seeds to penetrate below the ground where they will have a high rate of vibrant growth. This optimal environment establishes a healthy root system that will flourish into a thick, full, green lawn. You should have the experienced technicians at Vision Green aerate your lawn yearly. In Charlotte, NC, and the surrounding areas, fall is the optimal time for best results. Our premium services will create the thick, vibrant landscape that you’ve always dreamed of. 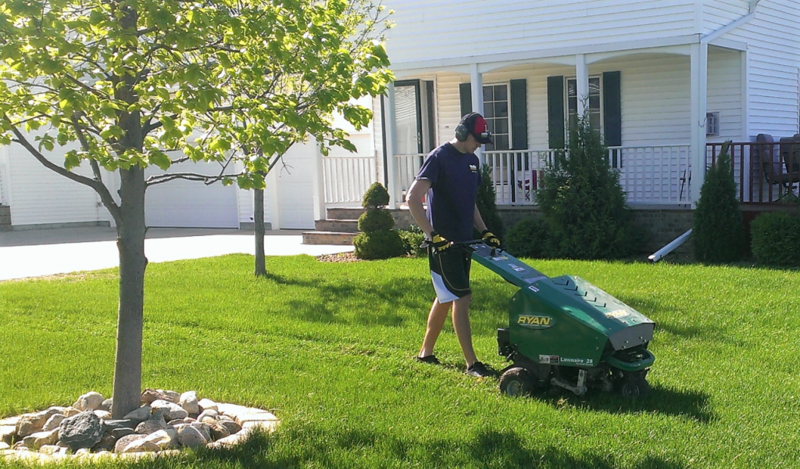 Our expert landscape technicians can aerate and overseed your lawn in one quick visit. We provide fast, friendly communication and we would be happy to explain our process and help evaluate your needs to create the best lawn possible. Schedule an appointment and we will get you on the road to a thick, vibrant lawn!